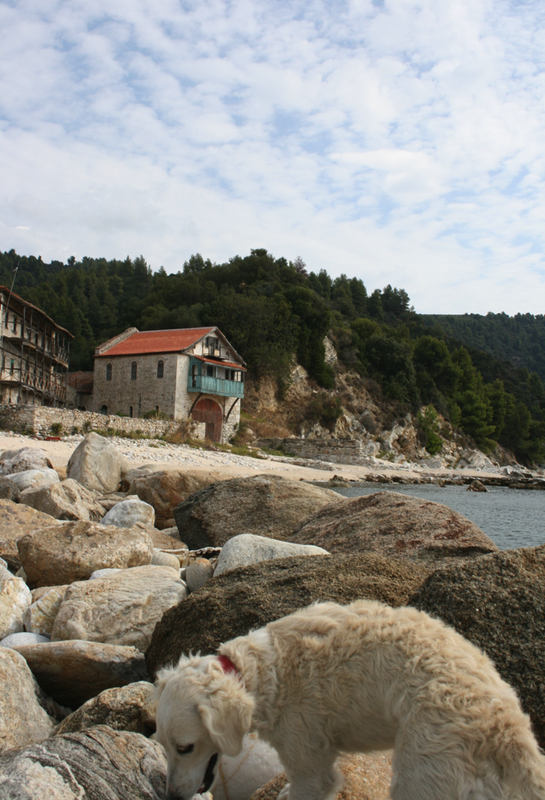 When you are walking the footpaths of Mount Athos you sometimes get company by dogs who take pleasure in following you on your way sometimes for hours. They are friendly dogs belonging to Kellia. 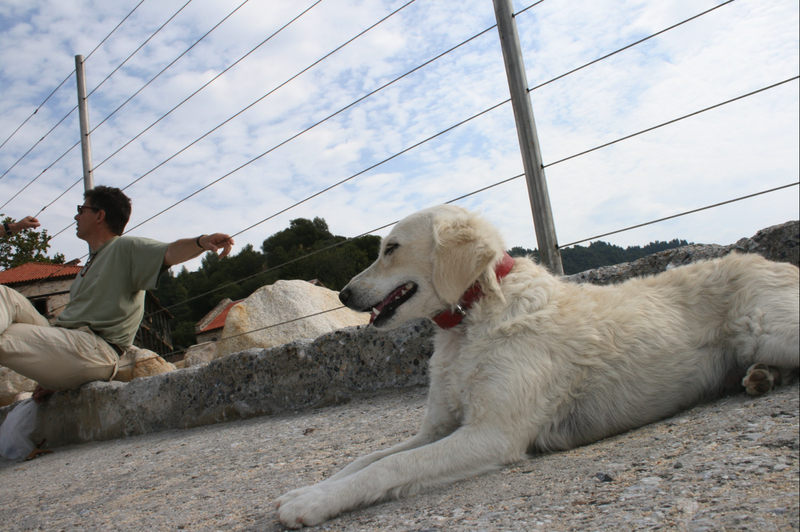 This white dog accompanied us on our walk from Ouranopolis to the Mount Athos border in 2009. On the image the fence of the border. Here our friend who normally is living a Ouranopolis has slip under the fence and is tresspassing the official Athos soil. 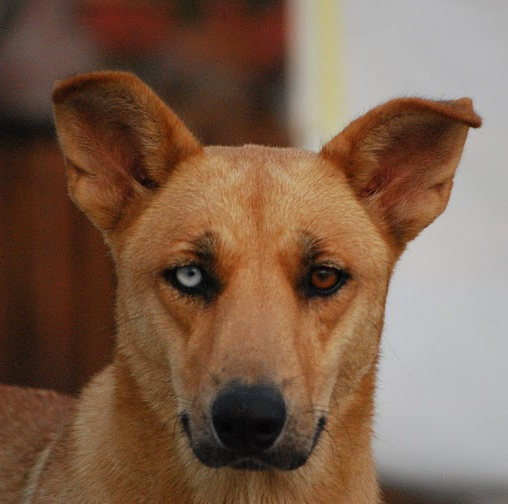 This dog is living somewhere between Paleo Monastiro and Karyes. 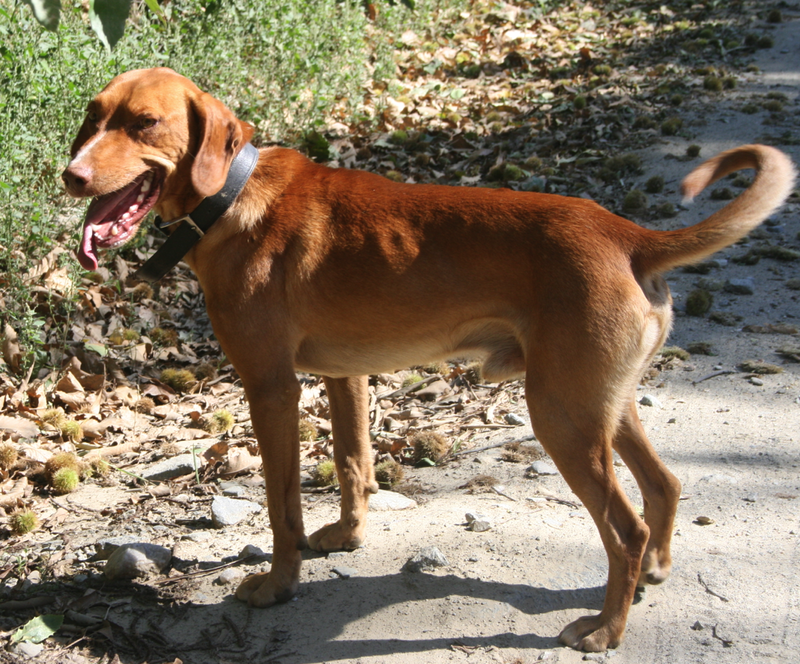 He walked with us till we reached the mainroad Dafni – Karyes in September 2009. 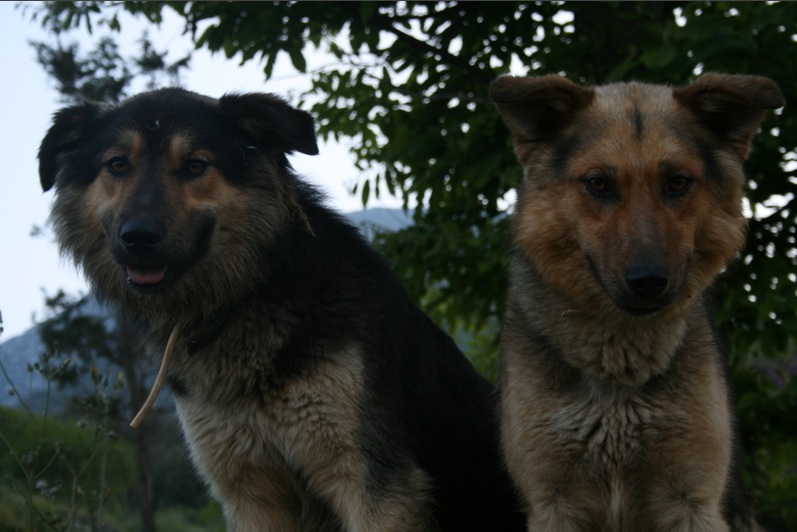 Two German shepherds who live outside the walls of Megisti Lavra who walked with us al the way to Skete Prodromos. Read more on this story here. This entry was posted in nature and tagged dogs. Bookmark the permalink.